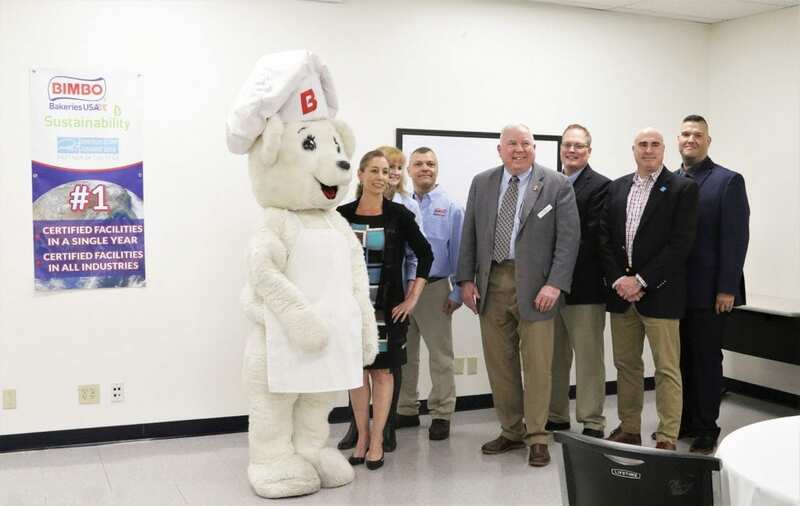 In the group photo, (from left) Osito, Bimbo Bakeries USA mascot; Rorie Johnston, CEO of Escondido Chamber of Commerce; Jodi Hitchcock, Bimbo Bakeries USA Escondido Bakery Manager; Matt Aguirre, Bimbo Bakeries USA Escondido Bakery Maintenance Manager; Paul McNamara, Mayor of Escondido; Chris Wolfe, Corporate Director of Environmental & Sustainability at Bimbo Bakeries USA; Walt Tunnessen, National Program Manager at ENERGY STAR – US EPA; and Ernie Rincon, SEM Program Manager for SDGE. On Thursday, March 28, at its Escondido bakery, Bimbo Bakeries USA was presented with a certificate from the U.S. Environmental Protection Agency’s (EPA’s) Energy Star Program after earning Energy Star certification at 14 of its facilities in 2018. This marks a record for the most facilities receiving Energy Star certification in one year across all industries. The certification signifies that the industrial plant performs in the top 25% of similar facilities nationwide for energy efficiency and meets strict energy efficiency performance levels set by Energy Star. Bimbo Bakeries USA improved its energy performance by managing energy strategically and making cost-effective improvements to its bakeries. The company upgraded facility lighting to LED to reduce lighting electrical consumption by more than 50 percent, improved production by reducing waste and implemented and adhered to industry best practices. Paul McNamara, mayor of Escondido, and Rorie Johnston, CEO and president of the Escondido Chamber of Commerce were among a handful of speakers who gave remarks during the event. Bimbo Bakeries USA operates more than 50 manufacturing locations in the United States. Over 11,000 distribution routes deliver its brands such as Artesano, Ball Park, Bimbo, Boboli, Entenmann’s, Oroweat, Sara Lee, and Thomas’. 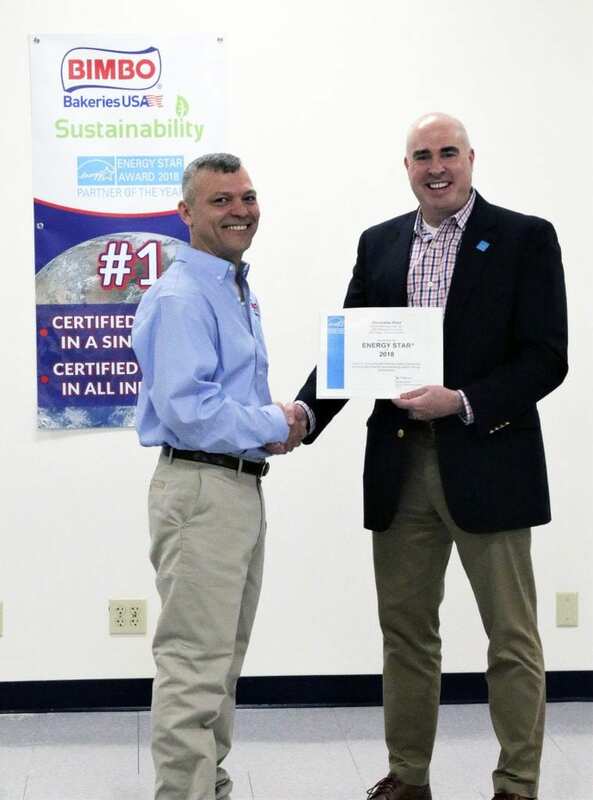 Matt Aguirre, Bimbo Bakeries USA Escondido Bakery Maintenance Manager, accepting the ENERGY STAR certificate from Walt Tunnessen, National Program Manager at Energy Star – US EPA.